The arrival of Christmas is a time of joy for everyone. People gather together to celebrate life, love, and friendship, eat their favorite food, sing and enjoy the warm atmosphere of Christmas. Giving gifts or exchanging gifts at Christmas is a traditional activity. On such an important day, if you don't prepare a unique gift for someone you love, then this wonderful Christmas may become incomplete. There are a lot of choices for gifts, but it takes a certain amount of time to choose a practical and beautiful Christmas gift that suits her. In order to save your time, Hong Kong Gift Give Boutique Florist has listed a list of Christmas gifts for girls for your reference. The exquisite and compact Christmas gift Hamper X37 includes 8 items (including container), with brands Spain, Sangria Lolea; France, Abtey Chocolatier; France, La Madeleine De Proust etc., the exquisite rose gold gift basket is loaded with the gift giver’s most sincere Christmas wishes to the recipient, and the mini dried flower bouquet adds a bit stylish and chic to this Christmas gift. 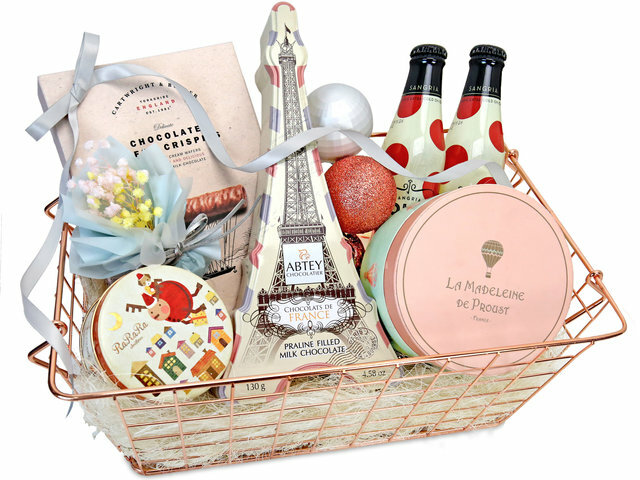 The Christmas Gift Hamper X5 contains 7 items (including container), with brands agnès b. delices, Marina Espumante, La Madeleine De Proust cookies, Europe imported macarons and other exquisite imported food. The highlight of this gift basket is its packaging, which gives people a wonderful feeling of Christmas in the snow, what a surprise. 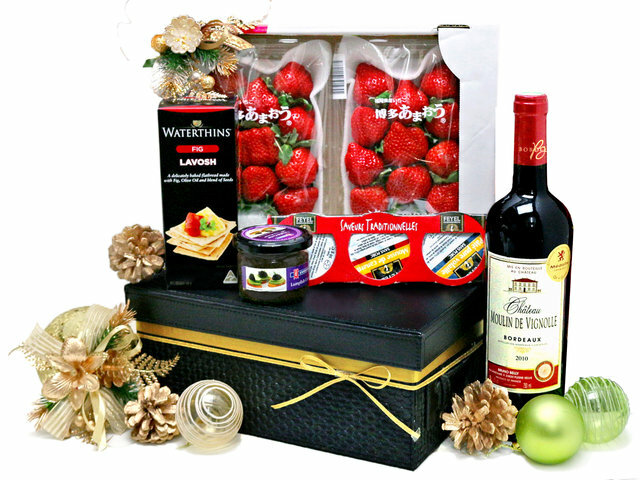 The most practical Christmas gift is the Japanese Strawberry Christmas Hamper M10. Japanese fruit is very popular with people; it is hard to imagine that any girl would refuse the perfect balance of sour and sweet Strawberry. With France Bordeaux AOC wine, Feyel, France, Saveurs Traditionnelles duck mousse set, Season, Iceland, Black capelin caviar and Waterthins, Australia, Fine Wafer Crackers. This interesting combination makes people more eager to share food with loved ones at Christmas. The colorful macaron gift hamper is the perfect gift for girls. 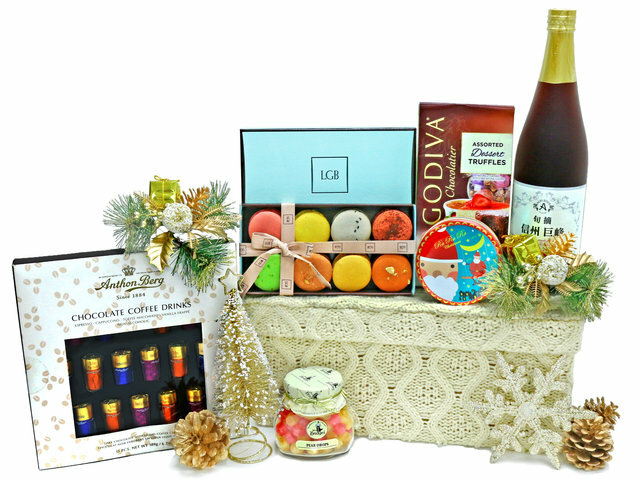 This LGB Macaron Christmas Hamper M8 contains 8 items (including packaging basket). With brands such as Japanese Shinshu, LGB, Godiva, Anthon Berg, Kobe X'mas mini grufres, Mrs Bridges and so on. Not only is the gift packaging exquisite, but it is also in line with the female's eating habit. 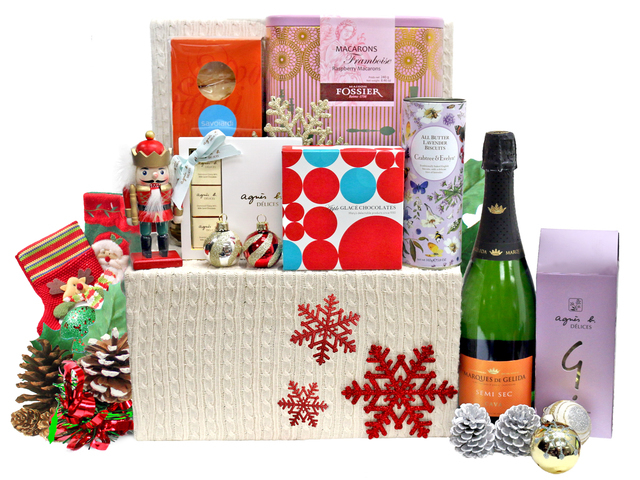 The outside of the gift basket is wrapped tightly in a soft sweater line, giving people a warm winter Christmas feeling. 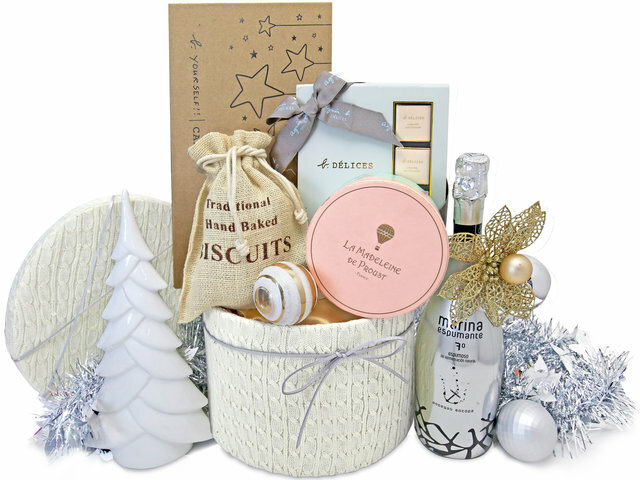 This gift basket has the strongest Christmas theme and atmosphere among those five Christmas gift baskets. When it comes to Christmas, people think of Santa Claus, Christmas tree, Christmas socks, snowflakes, Christmas gifts... It can be said it is a complete Christmas after you had gathered all these basic elements. However, Gift Give Boutique collects these favorite Christmas elements into a warm Christmas gift to give you a wonderful Christmas atmosphere experience! To share joy and good taste with your beloved at Christmas and leave a wonderful Christmas memory! This is a Hong Kong GGB original 'The Best Christmas Gifts for Her | Gift List' blogpost.